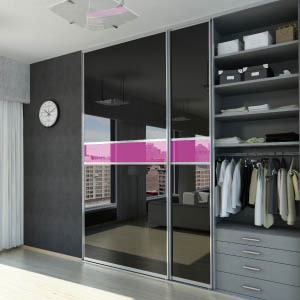 Sliding Wardrobe Doors - the perfect solution for your bedroom. 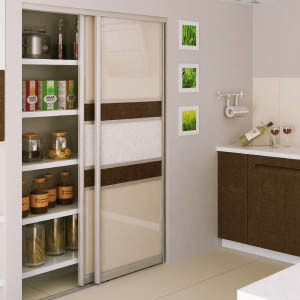 Our sliding doors provide a stylish way to maximise your space and add the extra storage you require with designs and finishes that are cool & contemporary to match your style. 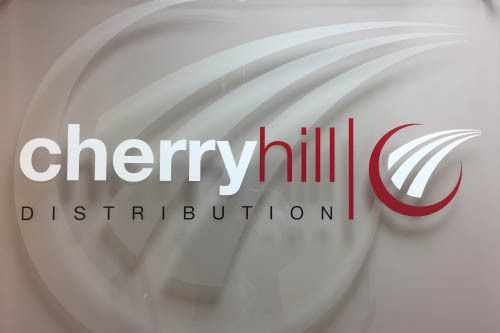 With our range of steel & aluminium profile designs in a choice of colourways, tied in with a selection of over 60 colour / texture / effect choices of glass, mirror and wood infill panels, your options are truly unlimited by design. Why restrict them to the bedroom? Studies, kitchens, living rooms, even the garage – they are equally at home wherever there is the need for a cost effective storage solution. 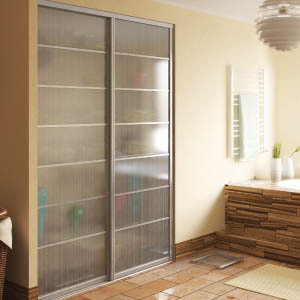 Our sliding wardrobe doors are made-to-measure, to be the perfect fit to maximise the space in your home. With a wide selection of styles and finishes you can create a bespoke sliding wardrobe door to your own design requirements. 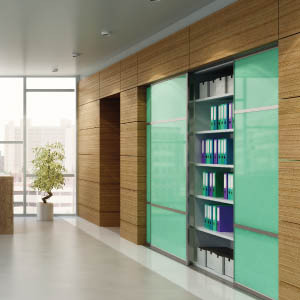 We also provide a wide range of flexible internal storage solutions from hanging options to drawers and shelving, to fit a wide variety of clothes, shoes & belongings, allowing you to create a wardrobe tailor-made to suit your lifestyle. Black & White Metalac Sliding Partition Doors. 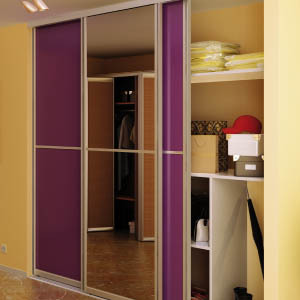 3 Panel Sliding Wardrobe Door. 5 Panel Sliding Partition Doors - Letterbox. 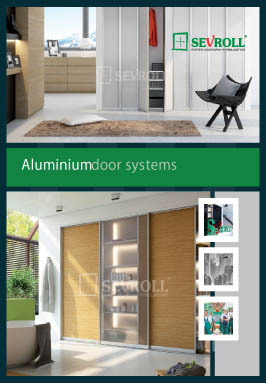 Screen Style Panel Wardrobe Doors. 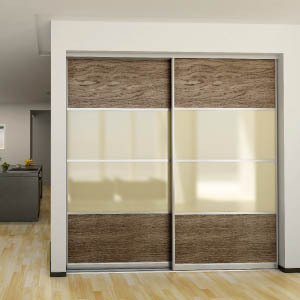 2 Panel Sliding Wardrobe Doors. 5 Panel Sliding Wardrobe Door - Letterbox.